Discover the mountains around Zermatt in a new and unforgettable way. 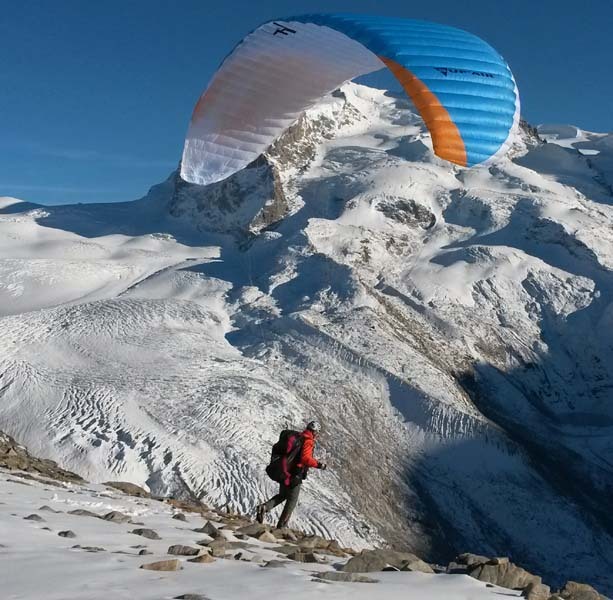 Hike up and fly comfortably back to Zermatt with your paraglider. There are several beautiful hikes with suitable take off spots. The fee is up to the length of the hike. It is even possible to combine this adventure with a climb to a 4000 meter high peak. Just let me know your wishes to receive an offer without obligation. For this adventure you need a valid paragliding license.